Wisteria (Wisteria spp. ): growing, planting, caring. A star climber with pink or purple flowers in drooping clusters, abundant in the spring and well adapted to temperate climates. Scientific name : Wisteria spp. 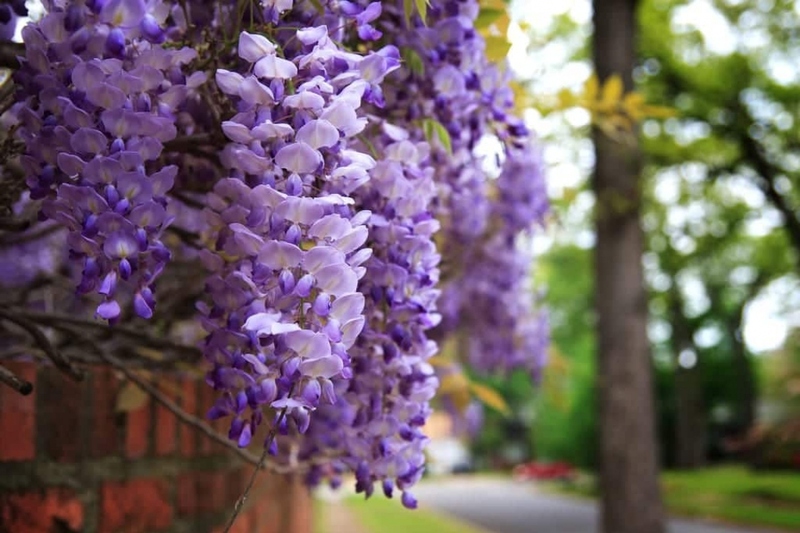 Wisteria is a good plant to dress up a wall, trellis, fence, or a tree, given that it can wrap around something and is in broad daylight or a partially sunny area with cool, well-drained, rich soil. Its foliage is deciduous so don't count on hiding you from your neighbors in winter!